mikejm6453 has no other items for sale. 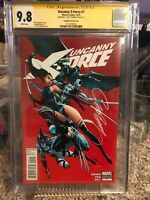 UNCANNY X-FORCE #1 Variant SS CGC 9.8 Signed By J SCOTT CAMPBELL! Not A Reprint!